Short turnaround this week; Tuesday match previews are always the trickiest as there hasn't been much time for information to accumulate. In addition, Arsenal played Anderlecht two weeks ago, so there isn't very much new to tell. That's not really a bad thing. Arsenal have won three on the bounce for the first time this season and things are starting to look up. They might be making exceedingly difficult work of their opponents, but at least they are getting three points from these matches. A win tonight combined with a win for Dortmund will see both Arsenal and the German club through to the knockout phase with two matches to spare. That's not too shabby. 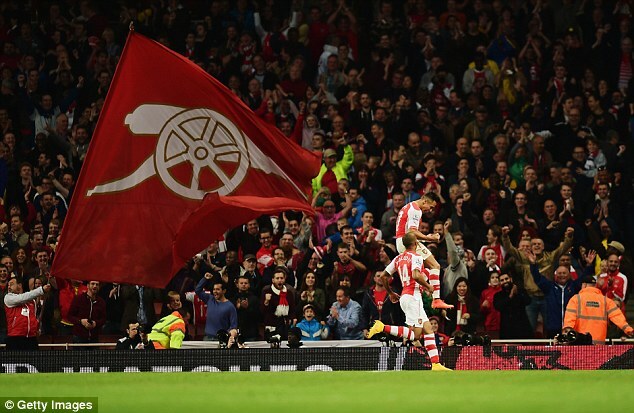 the League Cup loss to Southampton in September. On Monday, Arsene Wenger confirmed that Arsenal suffered no new injuries at the weekend against Burnley, meaning Jack Wilshere remains the only short-term absentee; on the other hand, his absence is now through illness while his previous absence was through a knock he picked up in training, so I suppose that's technically a new thing. As Andrew Allen on Arseblog News said yesterday, let's hope the light at the end of the injury tunnel isn't actually the headlights of a train speeding into our players' ankles. With the status quo from Saturday intact, I would not expect Arsene Wenger to ring in any changes. Wojciech Szczesny is available after serving the one match ban for his matchday two red card. There might be a return to the XI in the cards for Aaron Ramsey as well. After tomorrow night, Arsenal will have four days off before facing Swansea away; that match is followed by an international break. Predicted XI: Szczesny, Chambers, Mertesacker, Monreal, Gibbs, Arteta, Flamini, Cazorla, Oxlade-Chamberlain, Alexis, Welbeck. Anderlecht comes in with one long-term injury, as French full-back Fabrice N'Sakala has been out since the beginning of September with a knee ligament injury. More crucially, however, defensive midfielder Steven Defour picked up a calf injury this weekend and is expected to miss out, which is a huge blow for the visitors. Bram Nuytinck remains a doubt; he suffered a toe injury on matchday one against Galatasaray and has only appeared once since. Unlikely Predicted XI: Proto, Acheampong, Deschacht, Mangulu, Vanden Borre, Tielemans, Conte, Praet, Najar, Cyriac, Mitrovic. Victory from the jaws of defeat on matchday three. Since meeting last on matchday three, Arsenal have not conceded a goal, winning 2-0 at Sunderland and 3-0 over Burnley; Arsenal's three match winning streak across all competitions is their longest of the season. Prior to the current clean sheet streak, Arsenal had not kept an opponent from scoring since the 3-0 win at Aston Villa on September 20. As for Anderlecht, they are now winless in their last 11 European matches after their come-from-ahead loss to the Gunners two weeks ago. As I mentioned in the matchday three preview, Anderlecht's last win in Europe came 1-0 over Zenit St. Petersburg on matchday four of the 2012 group stage. Domestically, Anderlecht followed the loss to Arsenal with their first loss of the Belgian Pro League season, 2-0 to Standard Liege at home. They bounced back with a 3-2 win over Kortrijk three days later, but needed a 91st minute goal from Gohi Bi Zoro Cyriac to draw 1-1 with Lokeren at the weekend. UEFA pretends this never happened. * UEFA considers the matchday three meeting to be the first competitive meeting between the two clubs; that's because it does not consider the Inter-Cities Fairs Cup to be an actual competition, as it was not sanctioned by UEFA (despite being the precursor to what is now the Europa League.) 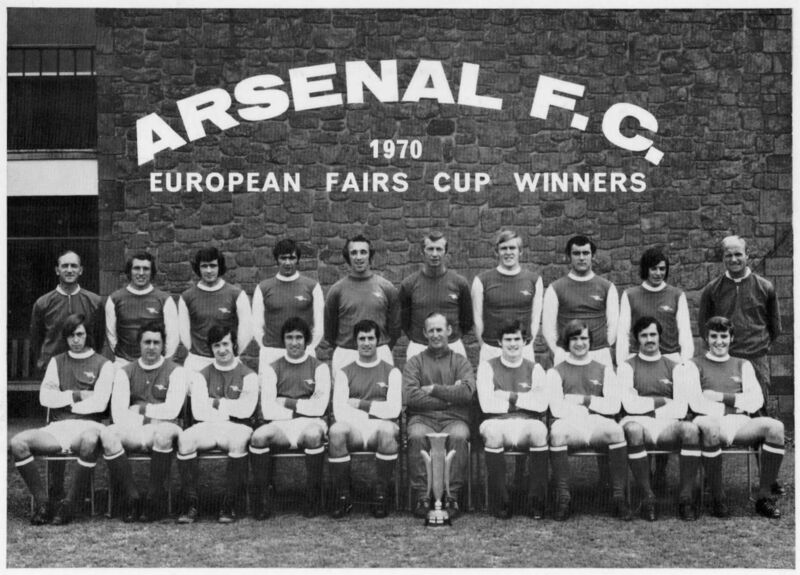 Arsenal defeated Anderlecht in the 1970 Inter-Cities Fairs Cup Final, losing 3-1 in Belgium in the first leg before winning 3-0 at Highbury. The Gunners have lost just once against Belgian competition, to Winterslag in the first leg of the 1981/82 UEFA Cup second round; Arsenal won the return leg but lost the tie on away goals. They have now won six straight against Belgian sides; after the second leg win over Winterslag, they won four straight against Standard Liege, then, of course, the reverse fixture against Anderlecht two weeks ago. Anderlecht have faced English competition 29 times, losing 19 of them; they've won six and drawn the other four. They have lost all 13 matches they've played on English soil, including a penalty shootout loss to Tottenham in the 1984 UEFA Cup Final. "Watch me eat this whistle!" The match officials are from France; the referee is Clement Turpin. This will be Turpin's second Champions League match in his young career; he's 32 years old. It will be his first match for both Arsenal and Anderlecht. Turpin has worked a small number of UEFA sanctioned matches involving the two countries involved, including a Europa League qualifier win for Fulham against Crusaders in Belfast in 2011 and a Europa League playoff win for Club Brugge against Grasshopper in August. He's worked two England Under-21 matches as well, both road victories for the Three Lions. France have not had a big-name UEFA referee in a long time and Turpin appears to currently be fast-tracked for that role by the French FA. Turpin took charge of the 2011 Coupe de France Final just days before his 29th birthday.